drive the new car on the streets. In some states, those tax, title, and license fee are thousands of dollars. The cost of repair, plus projected supplements, plus rental reimbursement expense, plus projected diminished resale value, exceeds the cost of buying the damaged vehicle at its pre-accident value, minus the proceeds of selling the damaged vehicle for salvage. (B) (I) the cost of repairing the car, plus (ii) cost of a rental car during the repair period, plus (iii) cost of paying the difference between the market value of the car as repaired compared to the ACV (actual cash value before the collision). Recognizing that in the real world, even that definition of “total loss” is cumbersome for insurance adjusters, insurance companies have a shorthand formula they use to authorize the front-line adjuster to pay for a “total loss”. 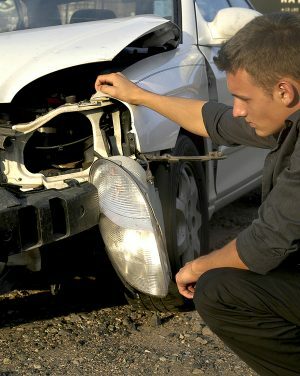 A common formula authorizes the adjuster to pay for a “total loss” when repair cost would exceed 51% of the vehicle’s ACV (the pre-collision market value). Other companies use higher percentages, e.g., 80 % of the ACV. If you represent the insured, look at the policy first, then use of the above discussed ideas of what is a total loss to demand proper compensation. You can even demand that they give you in writing their internal definition of total loss “so if it doesn’t seem right I can complain to the state insurance commissioner”. If you represent the plaintiff suing for a total loss, pick from the above discussed ideas to maximize your demand.